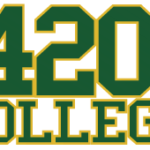 This month, March 2015, marks the six year anniversary of the founding of 420 College! Reflecting on the first three months of 2015 it is clear that 420 College has had an amazing year so far. Our class sizes have increased from 10 students per class back in March 2009 when we were first founded to almost 200 students per LIVE class which caused us to outgrow small hotel conference rooms and now we are often in larger convention center conference rooms for our seminars across the nation! This has brought us a lot of media attention this year too. It has been our great honor to teach and serve the constantly growing cannabis community (pun intended) and our great pleasure to watch our alumni students flourish quickly in the cannabis industry green rush with the help of our education, paperwork, business services, and industry contact referrals. 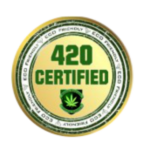 420 College is your all-in-one stop shop for cannabis attorneys, cannabis CPA’s, cannabis testing labs, cannabis insurance agents, cannabis payroll, cultivation & processing experts, collective/ “dispensary” operation experts, CannaBusiness funding referrals, full turnkey business packages including finding a compliant location, filing paperwork, setting up search engine optimization, setting up your website, hiring staff, setting up security for your compliant location, and more!! So far this year we have already been to Sacramento, Portland, Pasadena, and will be in San Diego again soon! Our goal has always been to teach students how to operate a CannaBusiness compliant to federal, state, and county laws while being successful at the same time. Have you taken a 420 College online course or two day LIVE workshop yet? LIVE two day seminars come with free continued education for life. We want you to be a part of this “green rush” journey and let us give you all the tools you will need to be successful on your journey as a cannabis entrepreneur. Enroll today at 855-420-TALK(8255) or online at https://420college.org/all-events.